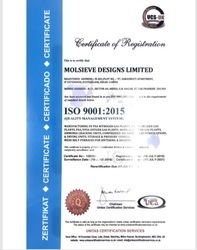 We, Molsieve Designs Limited, were established in the year 2002 and started manufacturing, exporting and service provider a wide range of Nitrogen Gas Plants, Hydrogen Gas Plants, Oxygen Gas Plants, Industrial Gas Piping Solutions and many more. These equipment have been designed to provide accurate performance, so that our customers could have an enriching experience on account of the usage these machines. 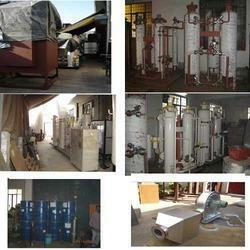 These plants are used on a wider level for the purpose of producing specified gases for industrial usage. For providing the promised specifications for our offerings, we are backed by our vast infrastructure and team of effulgent professionals. The whole fabrication procedure is carried out by following industry requisites and thereby, we ensure our offerings to have flawless features. We initiated our journey with a firm belief to provide total satisfaction to our clientele and in context of these working policies, stringent approach has been maintained by our effulgent team of professionals. Owing credit to these attributes, we have been able to garner a huge client base and broaden our horizon. Use of advanced technology and innovative ideas has led us to become a global name and offer our customers total business solutions. From our end, we also render services related to gas piping solutions for our esteemed clients at cost-effective prices. These services are executed on time by our trained workers, providing absolute and feasible solutions. Being a quality & client-centric organization, we have always focused on making our offerings impeccable and distinguished. Our exporting countries are Middle East, Morocco, Bangladesh, Serbia, Hungary, China, Japan and USA. 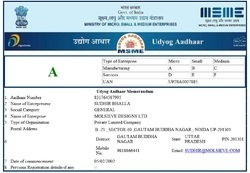 Mr. Sudhir Bhalla, our mentor and guide, has helped us in becoming a brand name across the country and overseas. He along with his impeccable ideas and leadership qualities, established our organizational structure and has enabled our employees to add glory to our name. To ensure that all our business operations are carried out in an efficient and streamlined manner, we have developed a wide spread infrastructure. For offering impeccable range of products, we are backed by professionals with years of experience and in-depth knowledge of the specified domain. We have hired professionals with zeal to strive for company’s success and glory. Our professionals are well-versed with the intricate mechanisms of various industry plants and hence, are empowered to manufacture equipment that are known to be among the best in their category. With the help of our innovative designing and planning procedures, we have been able to offer a wide range of products. We have followed and maintained client-centric policies from the day of initiation and these policies have led us to become a trusted name among our clients. Our plant systems are characterized by advanced features and have gained huge acceptance in the market. 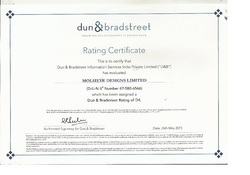 Focusing on clients’ needs and specifications, throughout our journey, we have made our company a globally known brand. As we carry out the whole production procedure as per the industry regulations, our products are ensured to provide their users enriching & flawless experience. For acquiring industrial experience of many years, we have developed our infrastructure over a wide area. There, we have installed latest and modern machinery for the fabrication of world-class gas plants. Used specifically to cater to the diversified industrial needs, these gas plants & equipment are designed precisely and are known for their trouble-free operations. Segregation has been done at our infrastructure to ensure harmony and coordination at workplace.